Arunachalam Muruganantham or Padman was born in the year 1962 in a small village in Coimbatore in India. His father died in a road accident when he was just a little kid and had to live in poverty after his death. He was studying in a local government school, and his mother used to work in the fields as a farm labourer to earn their living. When he was just 14, he dropped out of the school and started working as a farm labourer just like his mother. Along with working on the farms he also took some odd jobs like a machine tool operator, a welder or a supplier of food. 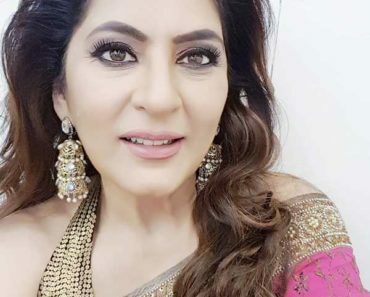 In 1998, he married Shanthi. After some time of his marriage to Shanthi, he got to know that his wife was using some filthy cloth and newspapers in her menstrual cycle instead of a sanitary napkin. He was shocked by the fact that his wife avoided buying the sanitary pads all because of its high cost. But at the same time, it was really an expensive thing for them to buy every month. 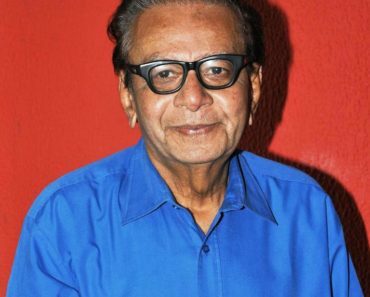 This whole incident led him to invent a cheap sanitary napkin for which he got suffered a lot. In the beginning, he asked his wife to test a few samples of sanitary napkins which he made with raw cotton and clean clothes. But they were not absorbent enough so failed to help his wife. 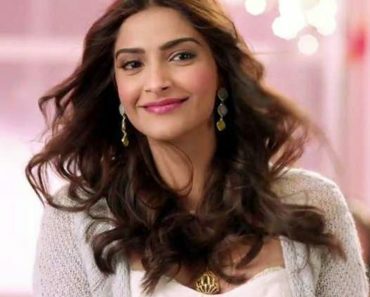 His wife rejected all his sanitary napkins and asked him to stop worrying about her. 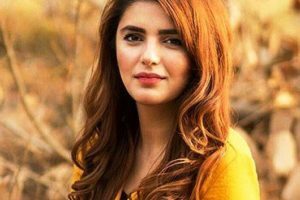 But the fact that the usage of that filthy rag can lead to various diseases, he could not stop himself and kept on trying. He asked his sisters and other women to help him, but all were shy about the topic. Later he tried them on himself with the help of animal blood and a football bladder. But again he failed. Failing in those experiments was not that much trouble, but his wife and his mother left him. The whole village stood against him leading him to leave the town. After two years of various experiments somehow he got to know that the cotton he was using for creating the sanitary napkins is different from the one used by the MNCs producing the same, i.e., cellulose fibres derived from the pine bark wood pulp. After that, he researched about the imported machine that produces sanitary napkins and got an idea about the processing of the machine and managed to make his cheap machine to do the same. There was a huge difference between the price of the original machine, i.e., ₹35 million (US$550,000) and the machine he made, i.e. ₹65000. 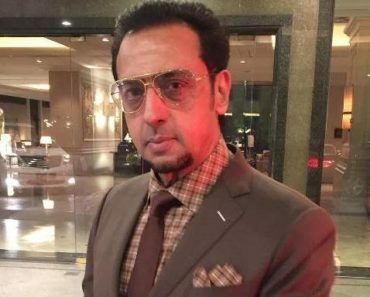 He bought the cellulose fibres sheets from a company based in Mumbai. Now his machine could successfully make pads by the process of grinding the sheets, de-fibration, pressing and sterilising the pads under ultraviolet. 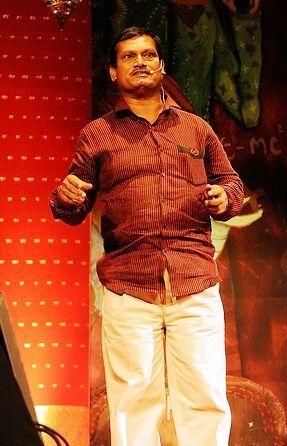 In 2006, he approached IIT Madras and represented his invention in front of them. In a competition named National Innovation Foundation’s Grassroots Technological Innovations Awards, his design won the award. 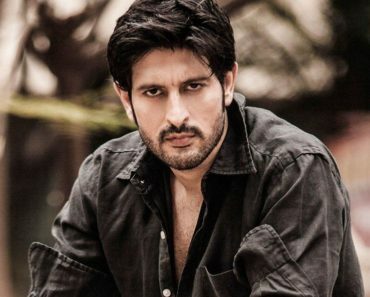 After winning the award, he started his own production company called Jayaashree Industries. Since 2006 his machines have been installed in 23 out of 29 states of India, providing cheap sanitary pads production as well as employment to the rural people. Arunachalam Muruganantham 56 years old with height 5’7″ feet and weighs approx 60 kg. His eye and hair colour both is black. 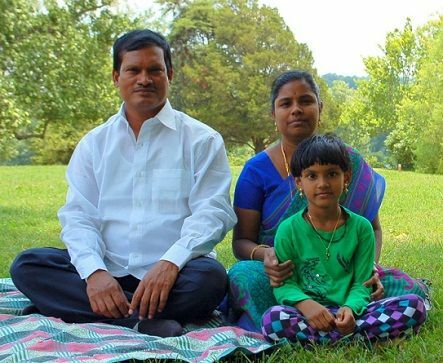 Arunachalam Muruganantham was born in a labour class family in a small village of Coimbatore, India. 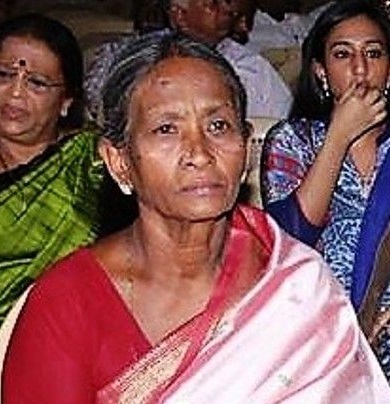 His father S. Arunachalam and mother A. Vanita, both were hand-loom weavers. He is the only son of his parents along with his three sisters. In the year 1998, he got married to Shanthi, who became the reason behind his great innovation. He has a daughter whose name is Preeti. 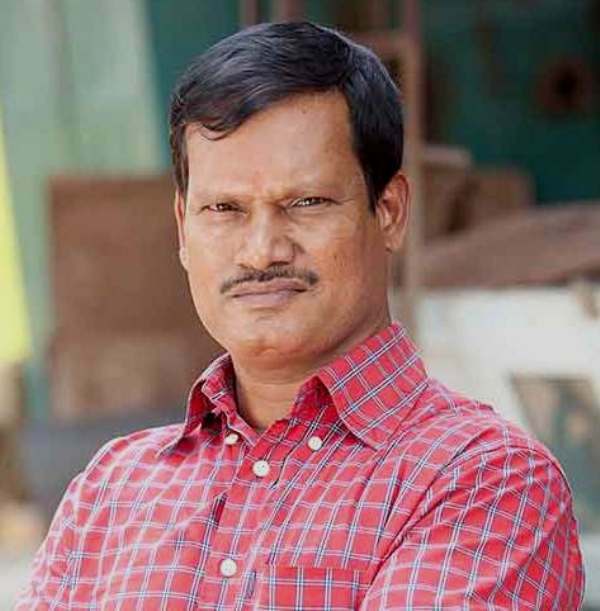 Arunachalam Muruganantham was a school drop out. 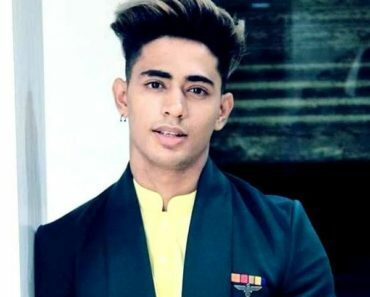 He left his school when he was in 9th standard due to his family’s bad financial condition. His father died very early when he was just a kid. His mother used to work as a farm-labourer who could not support the family properly. So, Muruganantham also started working as a farm labourer. He later began working as a welder, machine tool operator, and also as a food supplier. 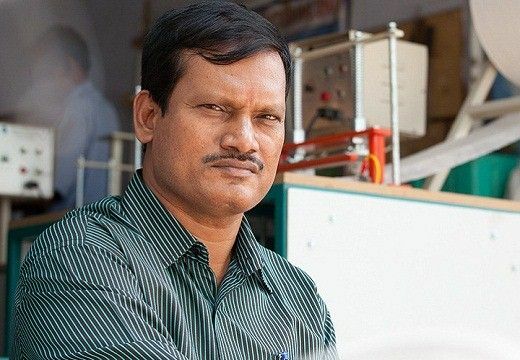 Later in 2006, he invented a very low-cost sanitary napkin the production machine, which was awarded at National Innovation Foundation’s Grassroots Technological Innovations Award. 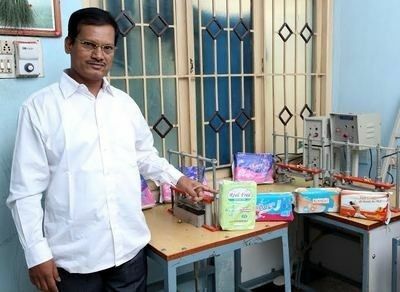 After winning the award, he became an entrepreneur by starting a production company with the name Jayaashree Industries, which produces these low-cost sanitary napkin production machines as well as affordable sanitary napkins for women of the rural area of India. 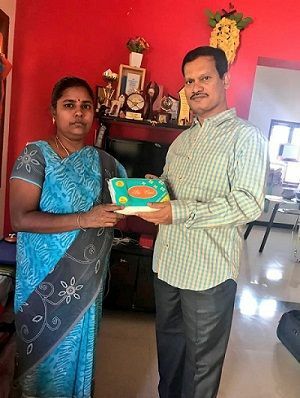 While Arunachalam Muruganantham was experimenting with the sanitary napkins, he had to face a lot of criticism by his village people as well as his family. His wife and mother left him and stopped talking to him. Even though he kept on trying. He approached the girls of a neighbouring medical college to test the pads he had made. However, he had failed this time too. As he could not get any more volunteers for testing his sanitary pads, he decided to test it on himself. He managed to get some animal blood and kept it in a football bladder. 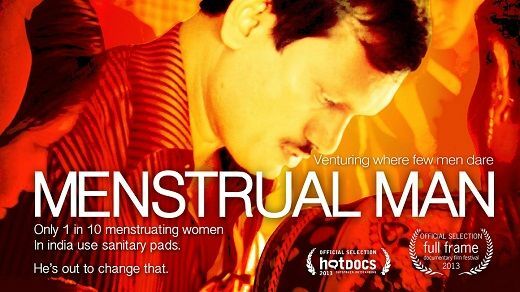 He wore a sanitary napkin and kept on pumping the blood onto it while roaming around the village. But again it was a failed experiment. People of Arunachalam Muruganantham‘s started thinking that he has been possessed by some evil spirits and was about to chain him to a tree to be healed by a local soothsayer. But he anyhow escaped and left the village. He failed all the times only because the cotton he was using was the normal one. It took him 2 years to know that the cotton used in a sanitary napkin is a cellulose fibre derived from the pine bark wood pulp. As he was not good at English, a college professor helped him to get in touch with the companies that produced cellulose fibres. Muruganantham spent almost 7,000 rupees on telephone calls to reach the various companies. He also researched the whole process of the making of the sanitary napkins and realised how costly the sanitary napkin production machine is. It costs around ₹35 million (US$550,000). The machine produced by Arunachalam Muruganantham is way cheaper than the imported one, i.e., worth ₹65000 only. He made his first machine with wood which won the award at National Innovation Foundation’s Grassroots Technological Innovations Award among 943 other entries. The award was presented to him by the then President of India, Pratibha Patil. 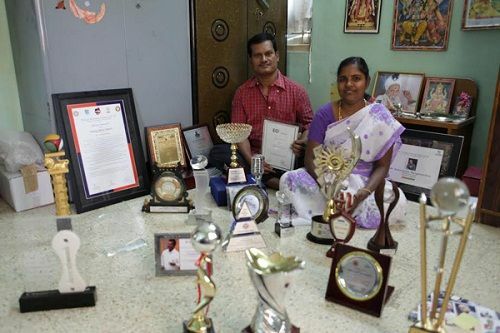 Arunachalam Muruganantham wife who had left him called him after 5 years after knowing about the award he won. 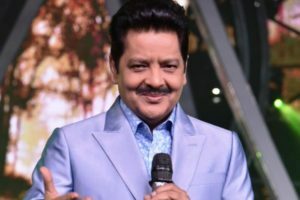 He was flooded with the offers by MNCs, who wanted to buy the patent of his machine at any cost, but he refused all offers as he had invented the machine only to provide a cheap sanitary napkin to the women of rural areas of India, which was not possible if he sold his machine to those MNCs. 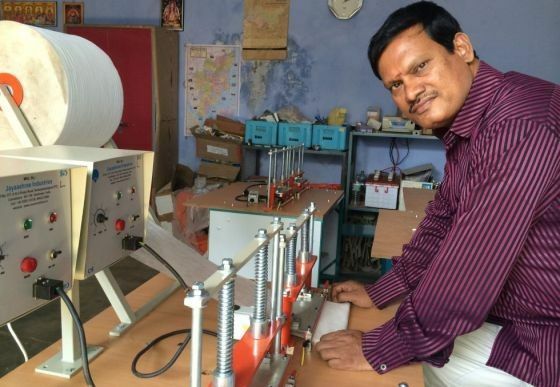 He produced his first 250 machines in 18 months and installed them in the backward and underdeveloped areas of Bihar, Madhya Pradesh, Rajasthan, and Uttar Pradesh. 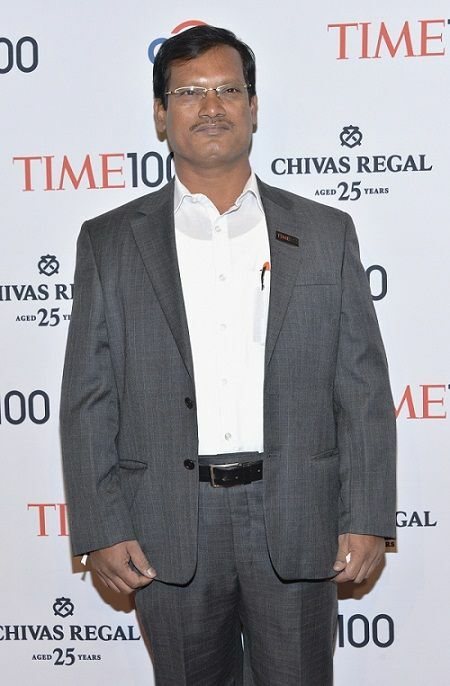 In 2014, Arunachalam Muruganantham‘s name got ranked among 100 Most Influential People in the World by the Time magazine. 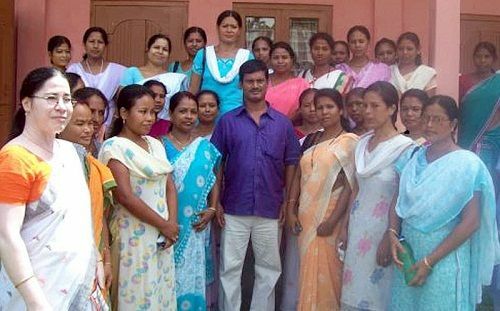 He is bought by the NGOs and women’s self-help groups in rural areas. The machine is of two types, manual (costing around INR7500) and semi-automated (costing a little more than INR 75000). Those machines have not only produced cheapest sanitary napkins, but one machine gives employment to almost 10 people and produces 200-250 napkins a day which cost only around 2.5 rupees. When he realised that his machines are capable of producing employment as well his first target was employment for 1 million poor women which after achieving he has set to 10 million jobs worldwide. 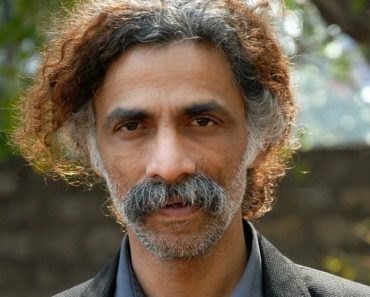 After covering rural areas of India he is all set to expand his work up to 106 nations. 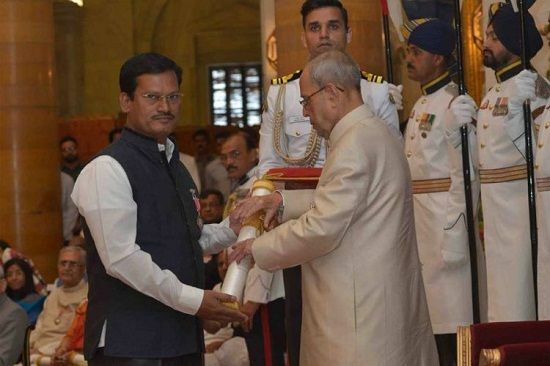 Arunachalam Muruganantham has received a lot of praise for his social work for women and has been invited as a motivational speaker at many prestigious institutions like IIM Ahmedabad, IIM Bangalore, IIT Bombay and Harvard. In 2016, he recieved the Padma Shri by the Government of India for his noble work towards women of rural India. He also got a chance to speak at the famous TED talks. 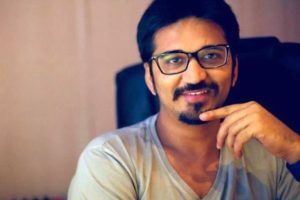 Amit Virmani made an award-winning documentary based on Arunachalam Muruganantham life story titled ‘Menstrual Man‘. 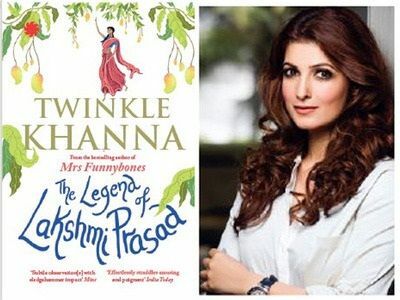 In November 2016, a book titled ‘The Legend of Lakshmi Prasad’, inspired by Arunachalam Muruganantham film’s life was published which is written by actress Twinkle Khanna. Akshay Kumar played the role of ‘Arunachalam Muruganantham‘ (as Lakshmikant Chauhan) in his film Padman which was released in February 2018.